Great news Fortnite gamers! 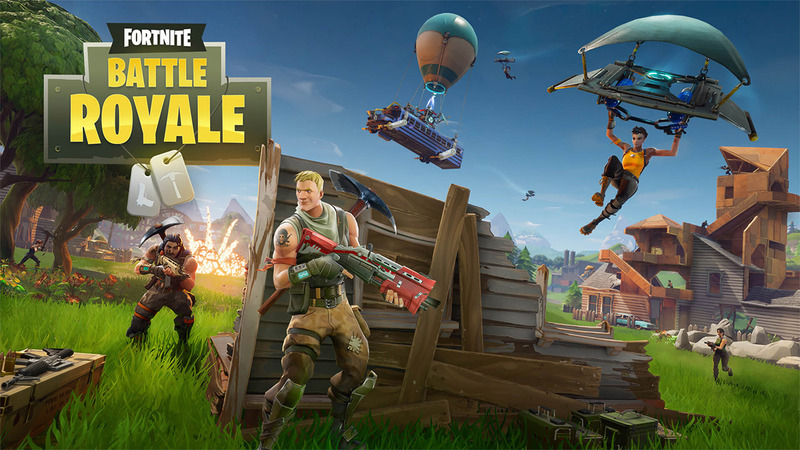 Epic Games, the company behind the extremely popular multi-platform battle royale title, has just dropped version 3.5 of the title. The update will instantly appease those skeptical Fortnite fans who took yesterday’s announcement by Epic Games with a pinch of salt and gives them yet more greatness to sink their teeth into. Epic Games has thus far done a fairly impressive job of keeping the updates coming, but has, at times, managed to confuse and aggravate gamers by not releasing updates when they were expected and by issuing huge patch files for the console which has sometimes weighed in at around the 10GB mark. This version 3.5 is what Epic is calling a “roadmap update,” meaning that it offers improvements and additions which are all going to act as stepping-stones toward to bigger picture. With that said, it doesn’t mean that we have an update that we can turn our noses up at as that is definitely not the case. 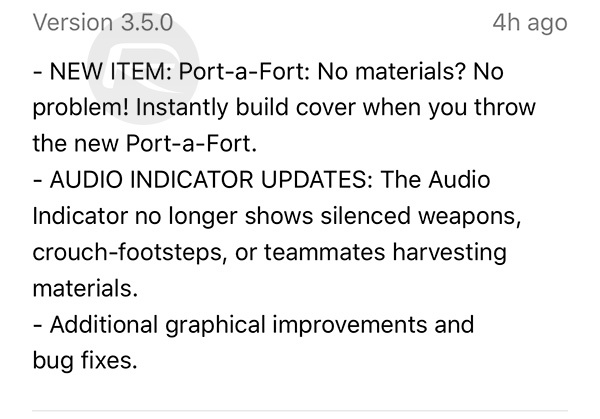 In fact, according to Epic, this version 3.5 contains a “slew of quality of life changes,” even if no one actually knows that the company means by that. It does sound good, however. So, just what can gamers expect to benefit from when they download this version 3.5 patch of Fortnite? The update ensures that the new Into the Storm event can now begin as well as bringing a brand new Survive the Storm map. Incidentally, the release of that map may have been given away yesterday by Epic who asked gamers if they are ready to “survive the storm” as part of the update announcement. The patch also contains new Heroes, new weapons, and even more quality of life improvements. Now, if only anyone knew what that actually meant. The Outlander has also had an entire overhaul in the game based on feedback from gamers. 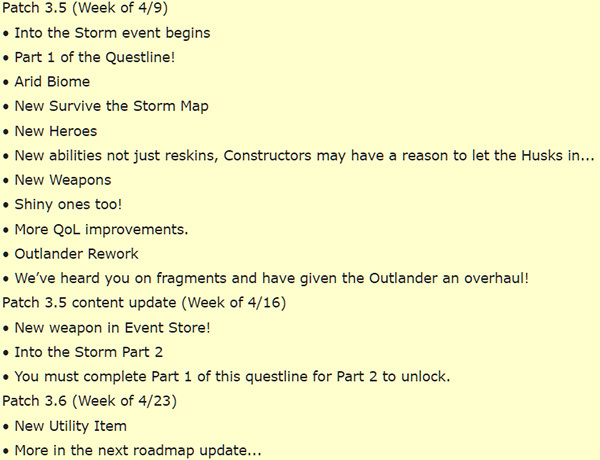 All-in-all, a fairly substantial “roadmap” update which is available right now for gamers. In addition to consoles and PC, Fortnite is also being updated to version 3.5 for iOS. Patch notes for both consoles / PC, and iOS can be seen below. Sooo no battle royal updates?